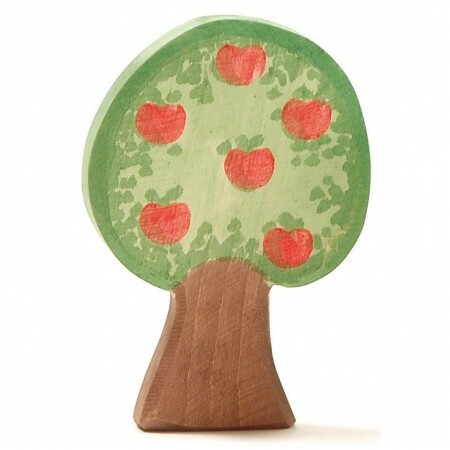 A wooden apple tree with red juicy apples ready for picking! Add to a farm, garden or forest scene, teach your children about the changing seasons and what animals might live here. 12cm high. A family of people or animals can wait for some tasty windfall apples or pick some and make into a yummy apple pie. 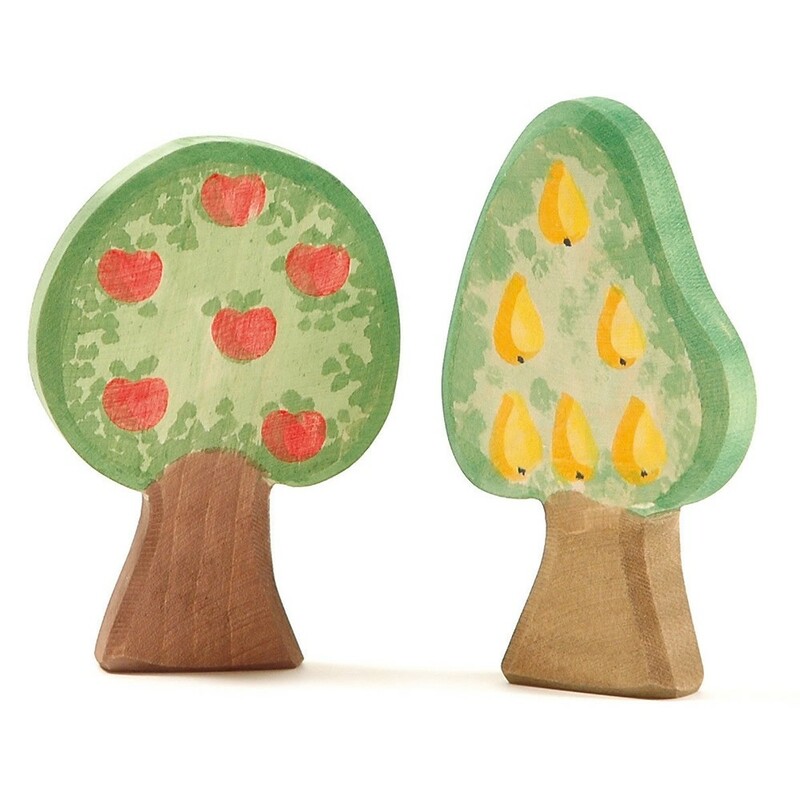 Little ones will being able to recreate a story with an apple tree they've spotted in an orchard or the country, and it's great way for children to learn where different food comes from. Different shades of green have been used for the foliage, with a brown trunk and bright red apples dotted in the tree. Natural wood is the quintessntial material for Waldorf tree figures - a reflection of their original source, and they feel warm and smooth to hold. Made from sustainable hard wood, painted with non-toxic water based paint and finished with organic oil. Ostheimer have been making Waldorf wooden figures for generations with a desire to craft toys that inspire children to play freely and explore the world with all their senses. 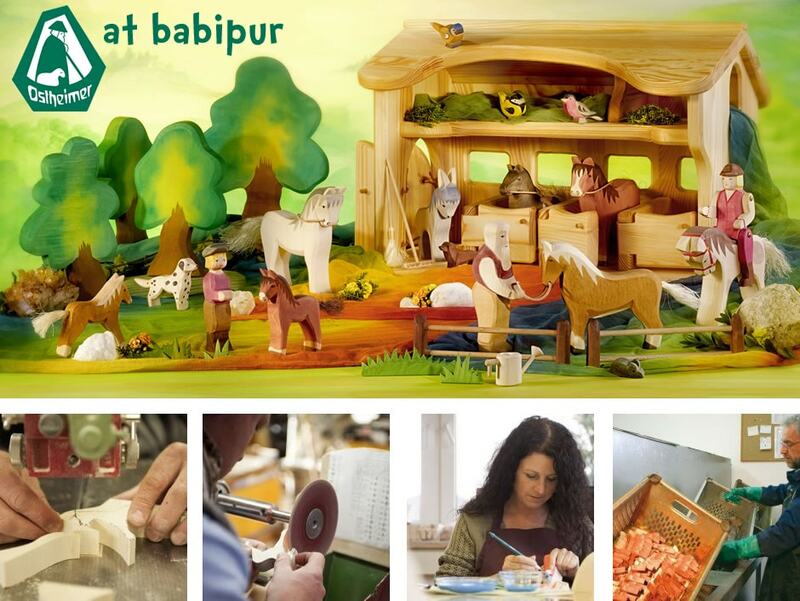 Each Ostheimer wooden figure is made in the traditional way by hand at every stage, sawn, sanded, painted and oiled. With these figures children can create imaginary worlds re-enacting scenes from their own experiences or conjuring fanciful worlds filled with exotic creatures and tales of wonder. 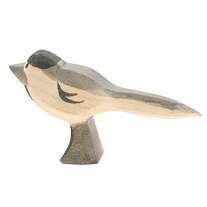 All Ostheimer toys are made from local sustainable hardwood, painted with safe transparent paint and finished in organic oil to ensure a connection with nature and respect for the environment. Ostheimer are considered the quintessential maker of Waldorf wooden figures, their range is extensive so there is something for everyone.